The Angry Birds franchise is a world-beater. However, no matter how good you are today, let alone yesterday, the world just doesn’t stay beaten. Now would be a good time for Rovio to release another hit, before Angry Birds runs out of gas. Amazing Alex, a new take on the Finnish game maker’s physics bread and butter, is Rovio’s sophomore play for the future mobile gaming dominance. As of this writing, Amazing Alex (App Store; iPhone, $0.99; iPad, $2.99) is number one on the iTunes App Store (and Angry Birds Space is number seven). Rube Goldberg was a real person who made improbable machines and Amazing Alex is all about building stuff in the same vein, with balls, pipe, shelves, boards, etc. (35 interactive objects in all) to accomplish a task. 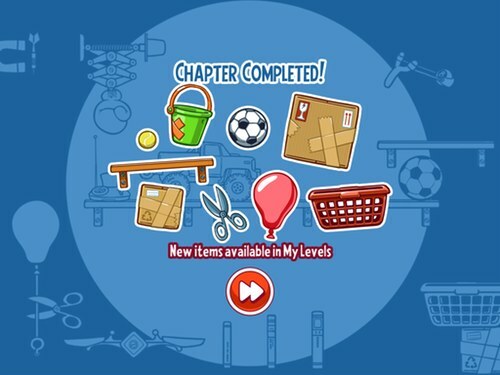 Your degree of success is measured in one, two, three stars and you will need all three stars in each multi-level chapter to complete a chapter, which is familiar ground for Angry Birds fans. And, how’s the play? 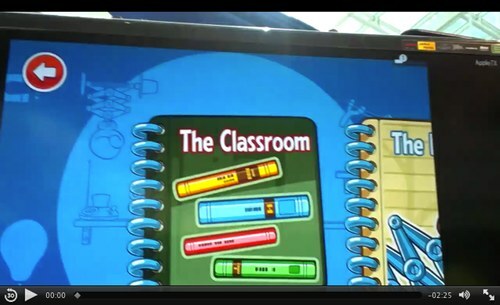 Whereas the Classroom is relatively slow-going (i.e. it’s the tutorial), which is what you will see in the clip below, things pick up quickly in subsequent chapters. However, the pace and difficulty picks up quickly in subsequent adventures and levels. When you get stuck, and you will, Alex offers solutions, easily accessible solutions right in the game, so no more sleazing off to YouTube to discover the three-star solution. 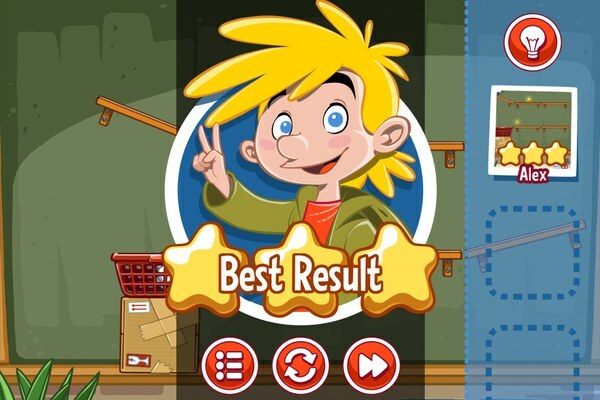 An excellent feature in Amazing Alex is the ability to create and edit your own levels. That said, although I was initially somewhat irritated with the “ease” of play, the next thing I knew (mother necessity called, nay, bellowed) more than three hours had passed. This game is challenging and fun, fun, fun.